China worries that if they don’t stop all the protests, they will lose control. Emily Korstanje reports. After he was free, Jigme was forced to sign a paper saying that he was not tortured. After the Chinese military took Tibet in 1949, Tibetans have been second-class citizens in their own country. They are forced to leave their homes. Over 6,000 monasteries have been destroyed. The other monasteries are not used by monks, but are spiritual attractions for mostly Chinese tourists. Places that were spiritual are now used as nuclear waste sites. Worst of all, Tibetans do not have freedom of speech, religion, or movement. Many passports have been taken away and the borders are closed. Tibetans cannot leave their country as their culture and their land disappears. Sonam Sangpo is a social worker and a Tibetan refugee. 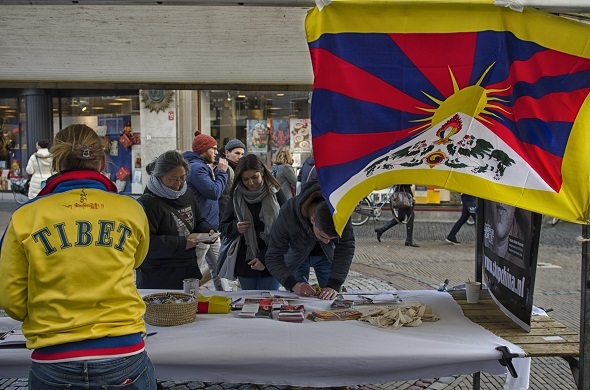 He said, ‘They are destroying our people, our beautiful culture, and our land.’ The International Campaign for Tibet (ICT) said there were very big peaceful protests in 2008 and then China put more than 600 Tibetans in prison and about 150 killed themselves. Tibetans set themselves on fire as a protest against the control by the Chinese. There has been a big increase in Tibetan political prisoners and in torture since the protests. In November 2015, the United Nations Committee against Torture (CAT) met China officials and asked them to explain the torture and ill treatment. A report by ICT worries about the way China tries to avoid criticism of its record on human rights and to hide the truth. For example, when ICT showed torture devices that were used on prisoners, Chinese officials argued they were made comfortable with cushions so they could no longer be thought to be torture devices. Another case was a Tibetan man who was shot and killed when he tried to help an old monk who was beaten with an iron rod in the prison. Later the monk died of what Chinese officials called ‘natural causes’. His body showed clear signs of torture. China refused to accept these cases because they said no one could check the information. China has continued with their control and they have closed Tibet off from the rest of the world. 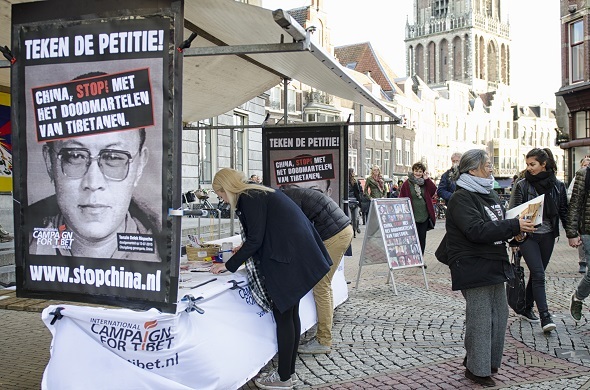 So during the UN’s criticism of China, ICT started a campaign in the Netherlands against torture in Tibet. 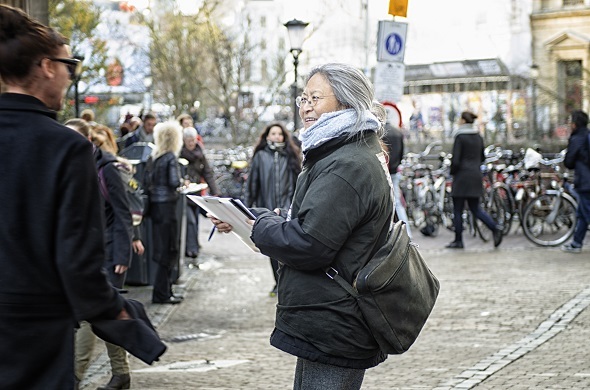 This was to give information about the terrible situation in Tibet and to collect signatures to put pressure on European government officials, who would then put pressure on the Chinese government. The International Campaign for Tibet has helped to release many prisoners such as Ngawang Sangdrol, Phuntsog Nyidron, and Dhondup Wangchen. They all have terrible stories about their time in prison. China refuses to give up Tibet because of its important position, its land space, its natural resources, and because there are now more Chinese in Tibet than Tibetans as a result of immigration. The Dalai Lama is Tibetans’ spiritual leader and he is living in exile in India. He has asked the Chinese government to make Tibet independent so people can have freedom of speech, religion, and movement. This page was last edited on 5 February 2016, at 18:09. This page has been accessed 1,822 times.